In April 2015 Kristinn Taylor reported on a new book by former White House staff members that Hillary Clinton violently attacked her husband President Bill Clinton in the White House residence on several occasions. Ex-Secret Service officer Gary Byrne claims in his new book, Crisis of Character, Hillary was ‘uncontrollable’ and occasionally ‘violent’ with Bill in the White House. 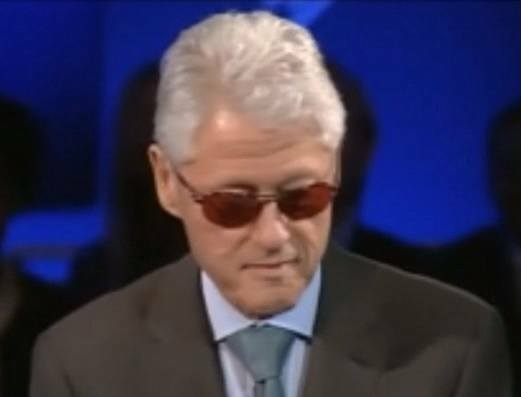 Byrne says Hillary even gave Bill a black-eye during one violent assault in 1995. A former Secret Service officer who helped protect Hillary Clinton while she was in the White House charges in a new tell-all book that the former first lady had a ‘volcanic’ temper and occasionally got violent with her husband – and that a loud 1995 fight left the president with a black eye. Byrne writes that he saw the president at about 9 am after the fight.